When was the last time you lost yourself in play? If you are like me, play can get lost in the shuffle of life. I have been studying play for a number of years, but it took me awhile to actively pursue it in my life. I have long since been convinced of the developmental value of play in the lives of children, yet it can be so hard to cultivate and foster play in our busy schedules both in the classroom and beyond. This blog series will explore and discuss the benefits of play, the decline of play and its consequences, then will offer ideas on how to promote playfulness in the classroom in such a way as to leverage the cognitive, social, emotional, and learning benefits of play. 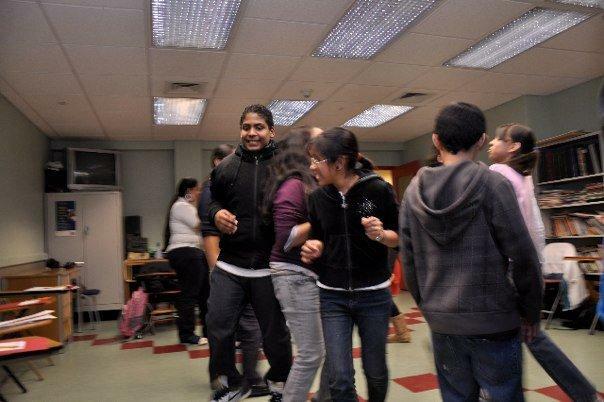 I began studying play a number of years ago as a result of my own efforts to bring playfulness to classroom instruction. 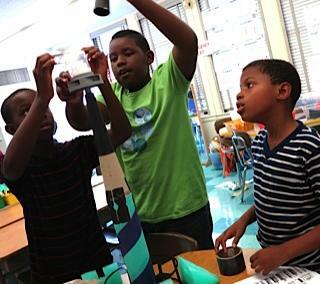 In my programs in NYC public schools, I could see the increase in engagement and motivation when children perceived classroom experiences as play. However, I didn’t always know what made it seem playful to them, nor did I always know how to add play into an already packed day. These are the questions I have been addressing over the years but to explore them we need to briefly define play and its benefits. Brian Sutton Smith, a leading play scholar who spent his life studying play, wrote a book called The Ambiguity of Play, which in part discusses the amorphous quality of play. Play isn’t binary, as in something is play or not play. Things can be more or less playful. 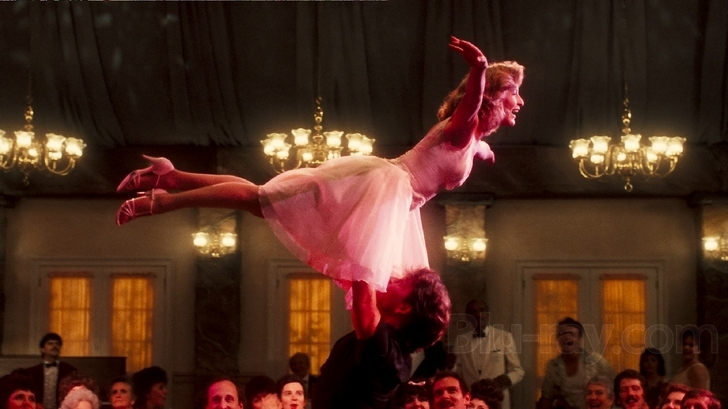 On one level, you know it when you are in it but when we try to define it things get tricky. Despite this there are a few key characteristics that most scholars agree with. Stuart Brown, founder of the National Institute of Play, argues that play is as natural a human phenomenon to humans as is sleep. He came to understand the value of play when he worked on a task force to understand mass murders and later alcoholics and in both groups he discovered play deprivation in childhood. (To hear his TED talk, click here). Play is essential to healthy development. Today’s children spend 18% more time in school, 77% more time doing schoolwork, and 32% less time playing. 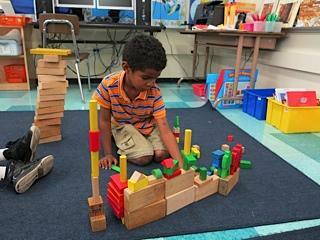 In light of so many benefits, we are left with a challenge: How to bring more play into learning. I most often find that no one is opposed to play, rather just unsure of how to fit it in, and how to maintain control while playing. These issues will be the focus of future blogs where I will share practical ideas and activities to bring playfulness into your classroom. 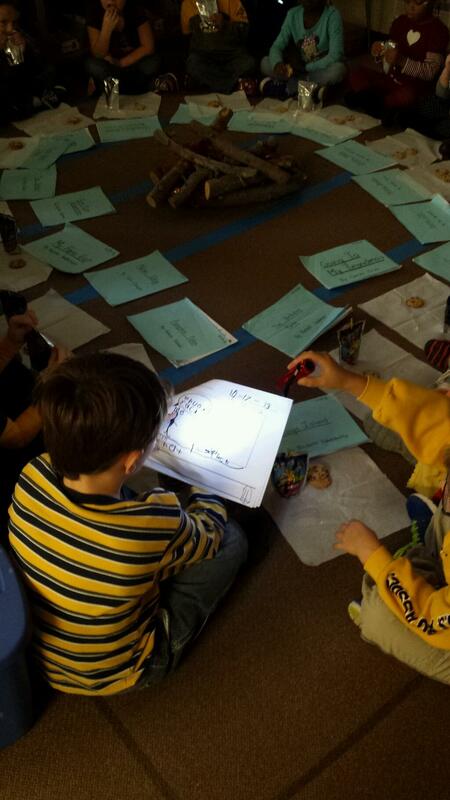 First, I want to offer a few broad ideas to begin the journey toward your playful classroom. 1. Understand and believe in the benefits of play and its role in healthy development. 2. 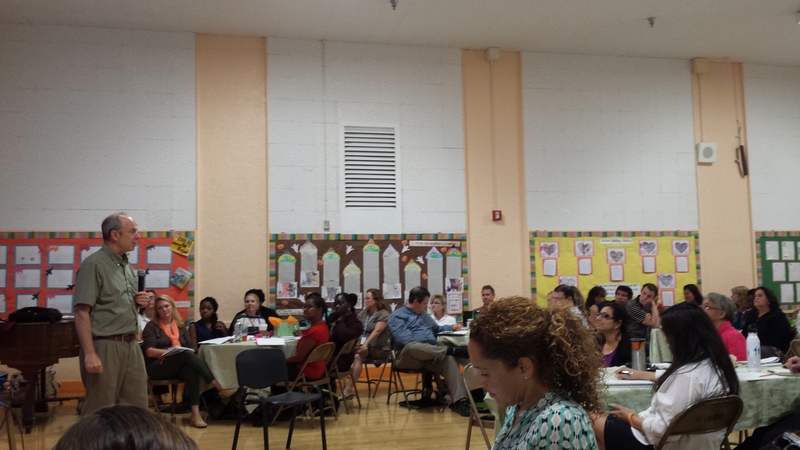 Recognize those benefits are not just for early education but for all children (and adults). Play guru Bernard De Koven says “Playfulness is a gift and a choice that we often forget about but that it is the shortest road to happiness!” As we release the playful energy within us, we will begin to see opportunities to play everywhere including with students and curriculum. Research suggests that when children are able to choose an activity, they code it as play, whereas they code the same activity work when it is selected for them by an adult. Transitions can be a nice place for a quick 5 min game that is played for play’s sake. This quick activity, especially if it uses the whole body, can be enough to ignite the mind for the next block of seated focused coursework. Some game ideas are Simon Says, Table Pictionary or Charades, Zip, Zap, Zop, ball tossing games, slow motion tag, or a favorite of mine – Bibbity, Bibbity, Bop. 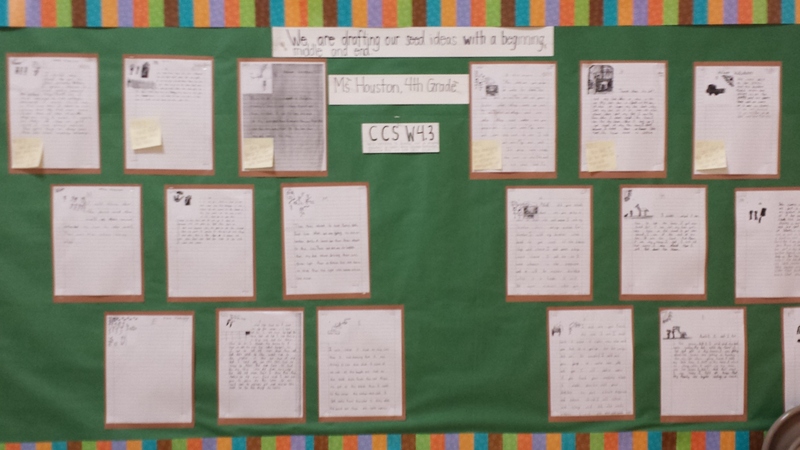 I’m also pretty sure students will come up with many more ideas! Honestly, sometimes play is intimidating and scary to me. It is spontaneous which makes it a little scary but that is also what makes it fun. 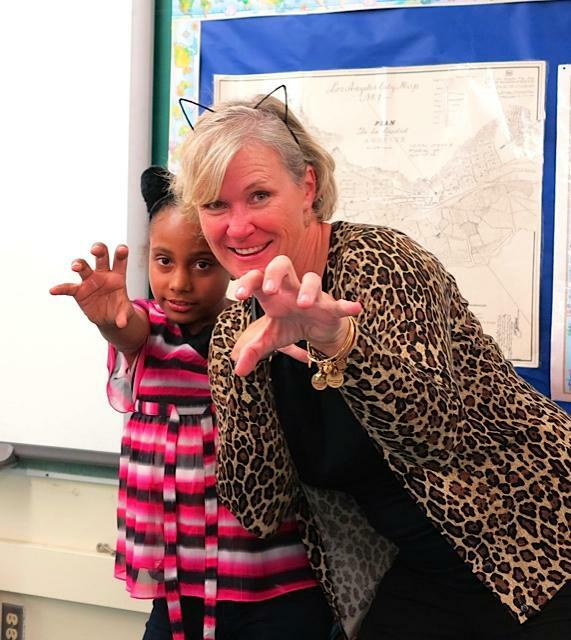 I encourage you to journey with me through this blog series where I share specific examples of bringing more play into your life and your classroom! Fromberg, D. P., & Bergen, D. (Eds.). (2006). Play from birth to twelve: Contexts, perspectives, and meanings. Taylor & Francis. Gray, P. (2008). Freedom to Learn. Sutton-Smith, B. (2009). The ambiguity of play. Harvard University Press. King, N. R. (1987). 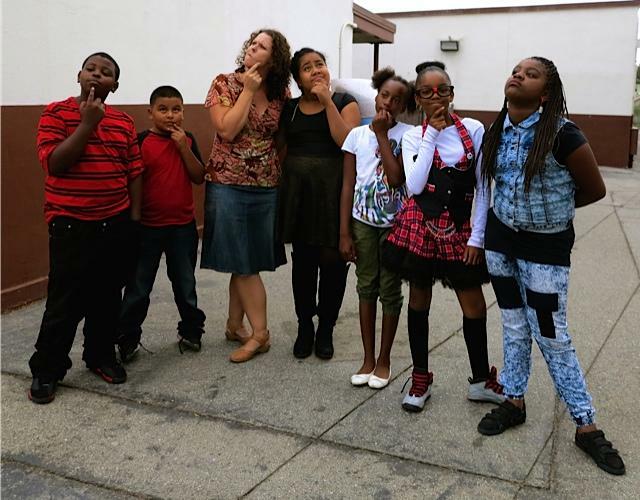 Elementary school play: Theory and research. School play: A source book, 143-165. 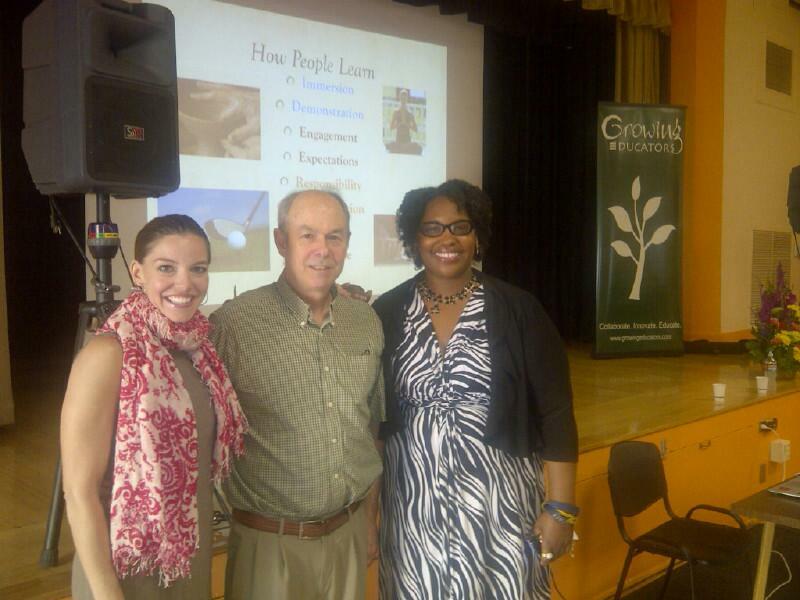 As teachers, we are detailed oriented individuals. We truly do “have eyes on the back of our heads,” constantly keeping tabs on our students’ academic and social progress. 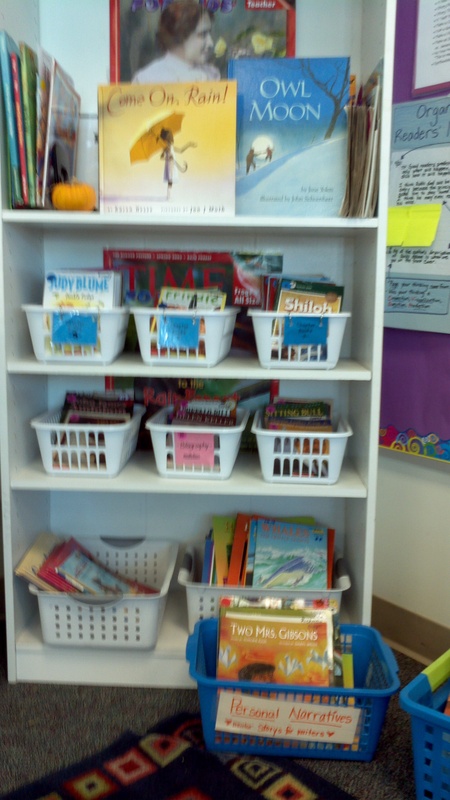 We scan our rooms looking for places to add student work, display books for our students to read, and if you are like me, you often have thought of new furniture arrangements to squeeze out an extra few inches for your ever-growing students. 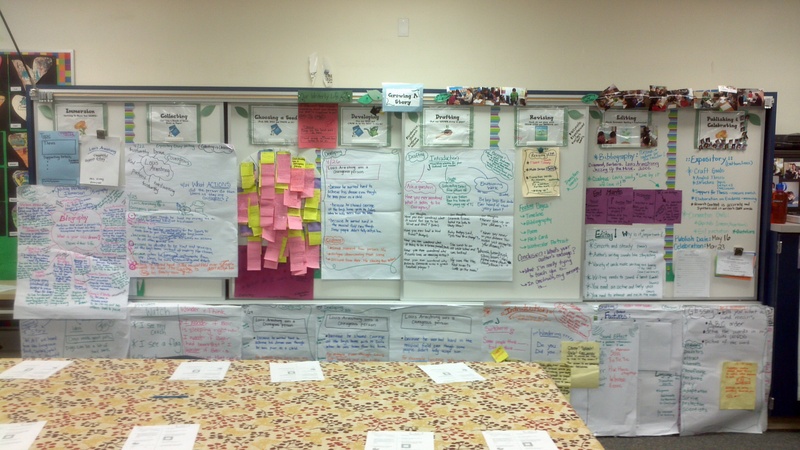 We, as teachers, are always evolving and looking for the next best environmental accommodations, visual supports, and how to fine tune instructional methods for our students. In our quest for improvement, it is important that we find a “balance,” especially for our students with disabilities. Our students with disabilities should be provided with a predictable routine, environment and instructional supports that they can count on. And, believe me, it is a lot simpler than it sounds. 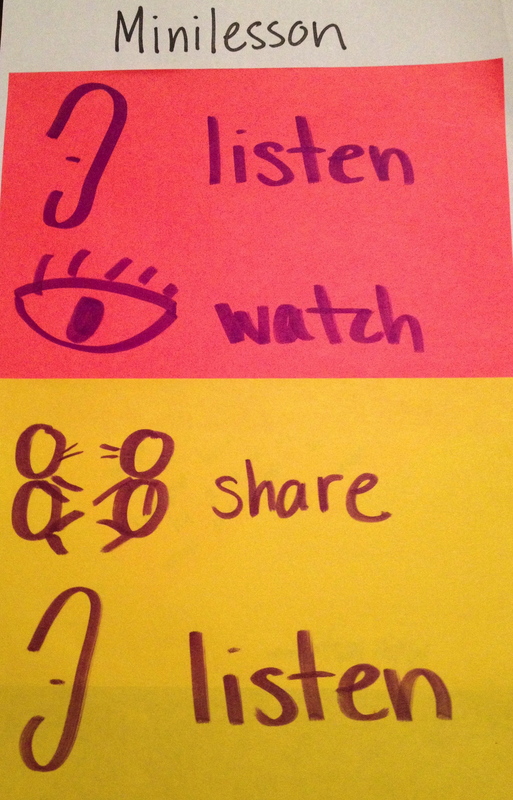 Below are my top three tips for supporting all students, especially those with disabilities. 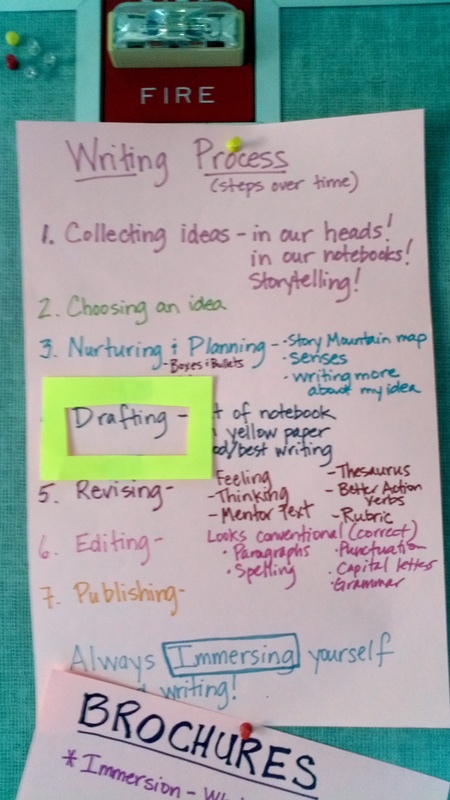 Students benefit from a visual schedule that clearly explains what they need to do not only during the day, but during Reading and Writing Workshop. o Consider creating small icons next to your schedule on the board. Icons can be hand drawn (i.e. 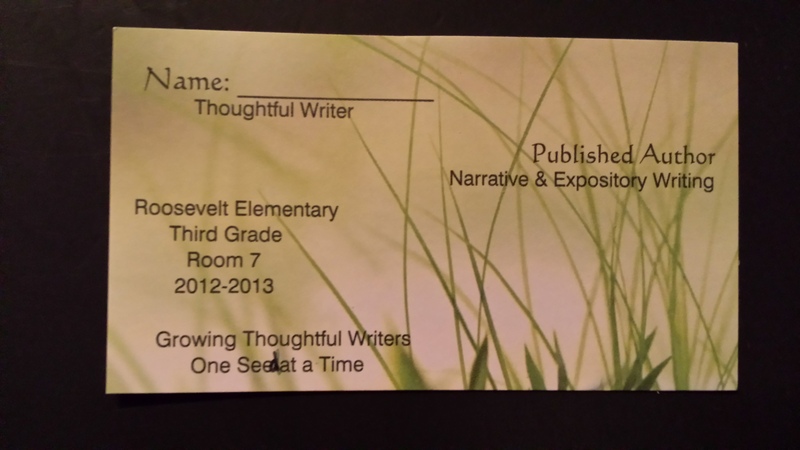 a student writing), or an actual picture of a student writing, for Writing Workshop. 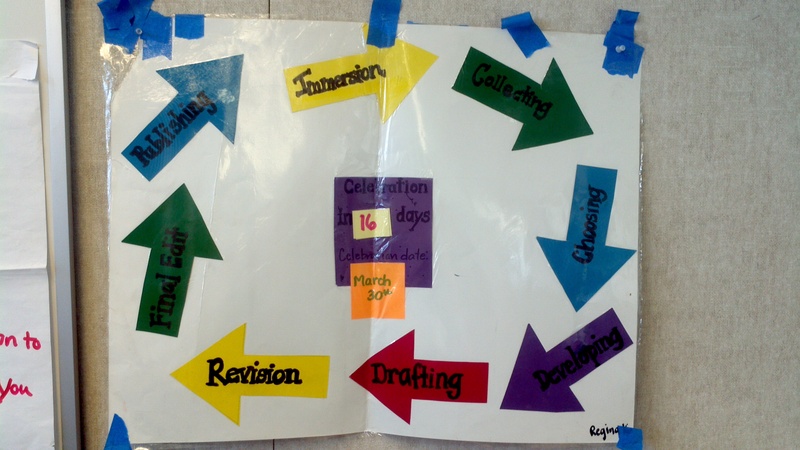 o Many students benefit from a visual schedule/checklist that explains every aspect of the schedule. 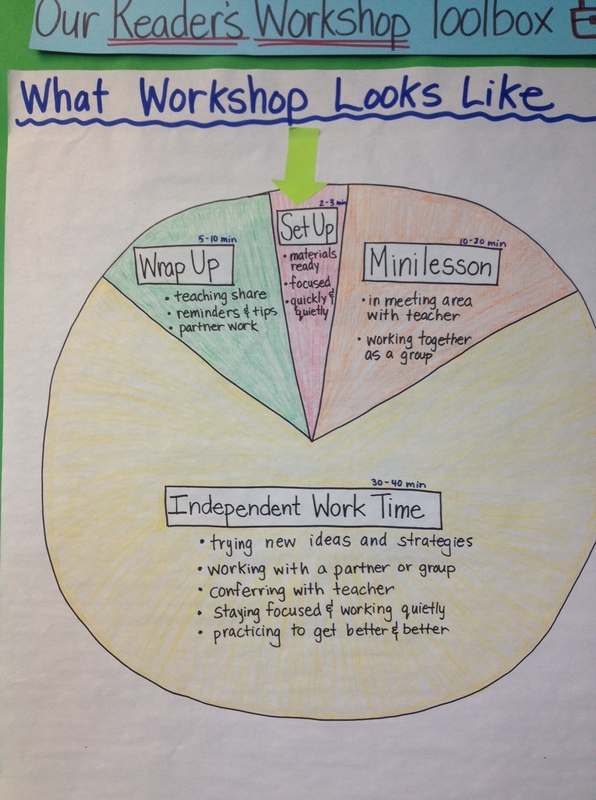 The pie chart below provides students with an overview of what to expect in workshop. 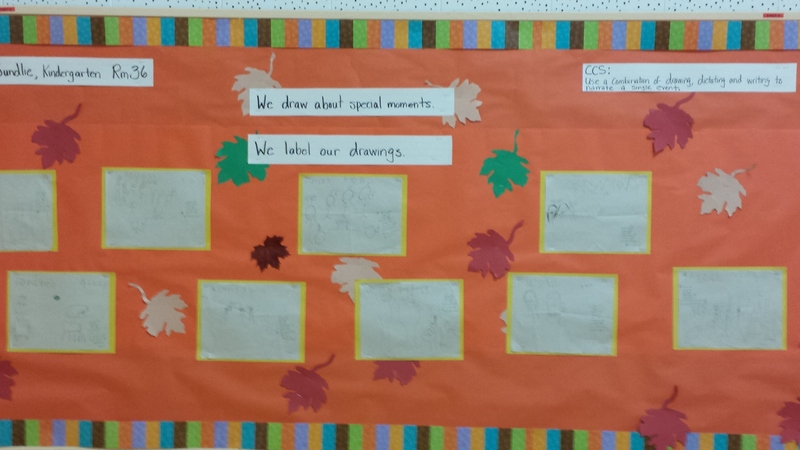 Although, for many students with disabilities, they do not know what it means to be “in meeting area with teacher” or “working together as a group.” We can provide pictures of what those look like and place them on the chart. 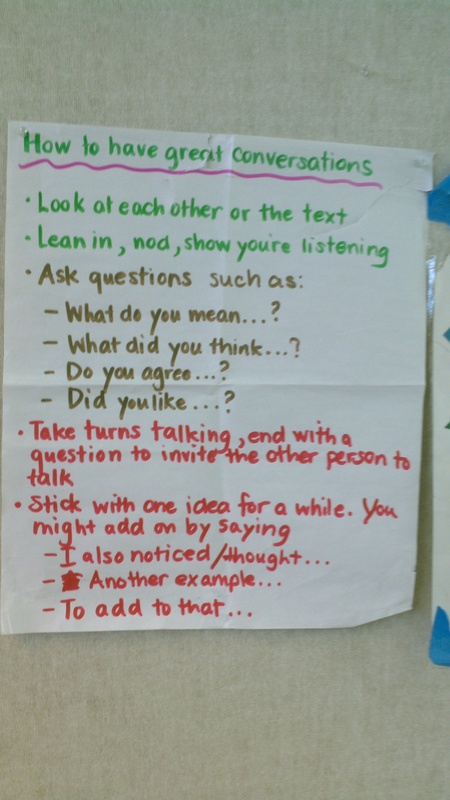 o Each phrase could also be broken down further in a step-by- step fashion on separate sheets of paper, placed in a binder for students to reference at their desk or tables. 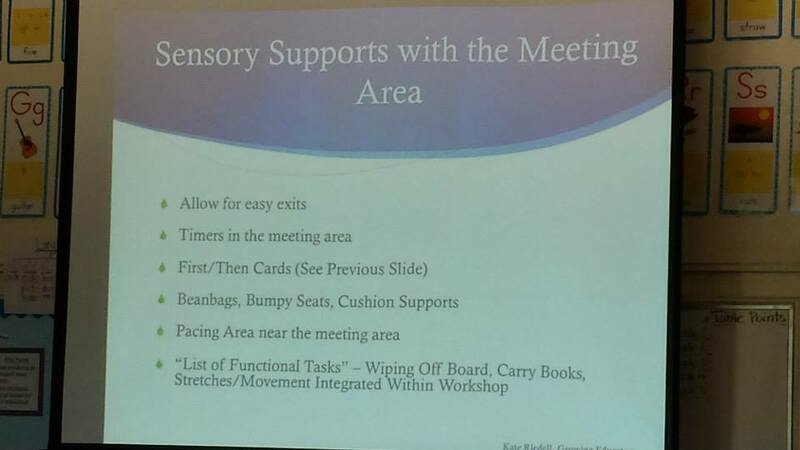 For example, “in meeting area with teacher” might have the following steps: listen for the signal to move to the meeting area, bring writer’s notebook and writing tool, sit in my assigned spot, sit cross-legged with my materials in my lap, and listen to the mini-lesson. o Alternatively, students could also be provided with a short video of what the teacher expects the room to “look like” and “sound like” during workshop. 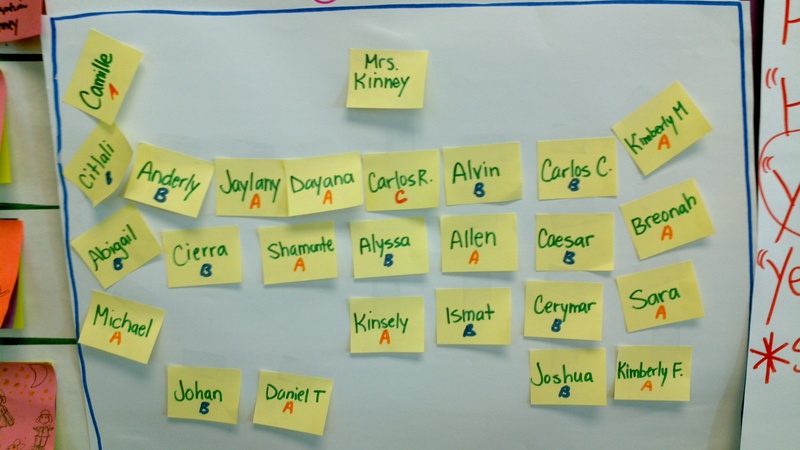 Interactive charts that provide students with a map of where to sit in the meeting area create independence. 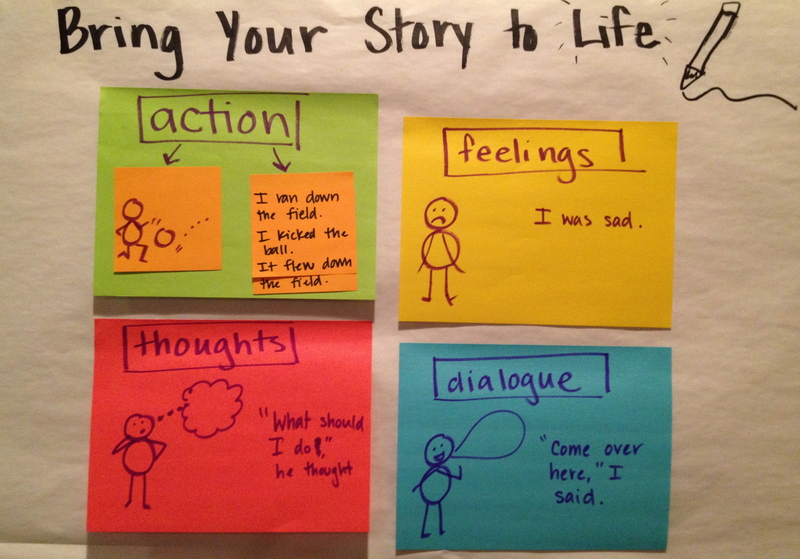 Charts that support instructional content ideally have examples and pictures. 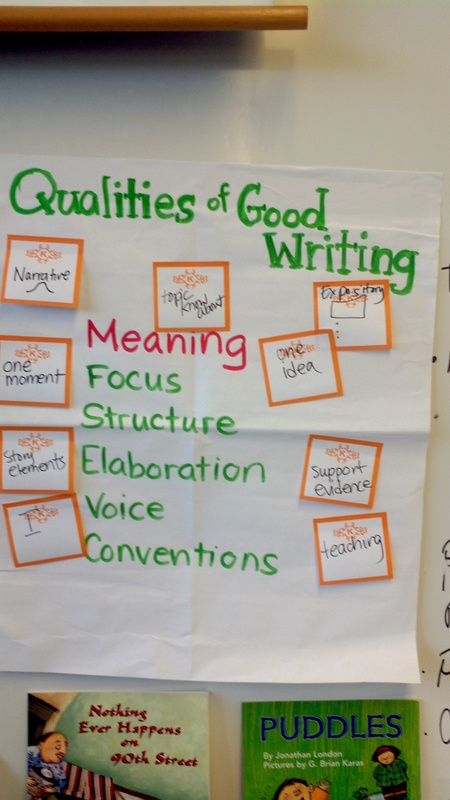 Charts should also reinforce independence, providing students with strategies to help them throughout each aspect of the writing process. Many students with disabilities do not do well within the constraints of a meeting area on a carpet. 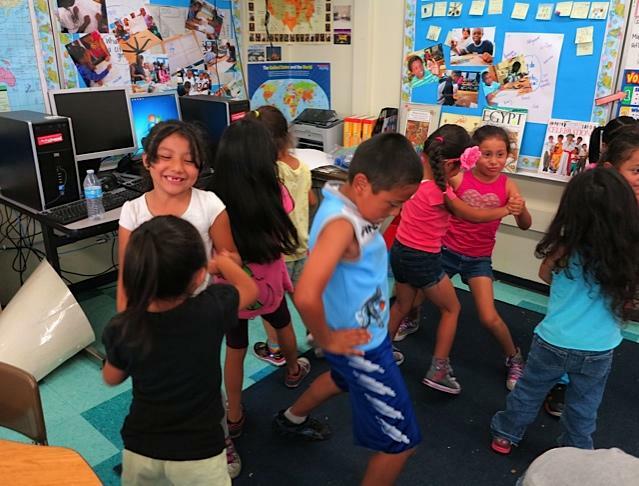 Feel free to have students stay at their desks, while you present the mini-lesson from the front of the room. This can minimize transition difficulties. 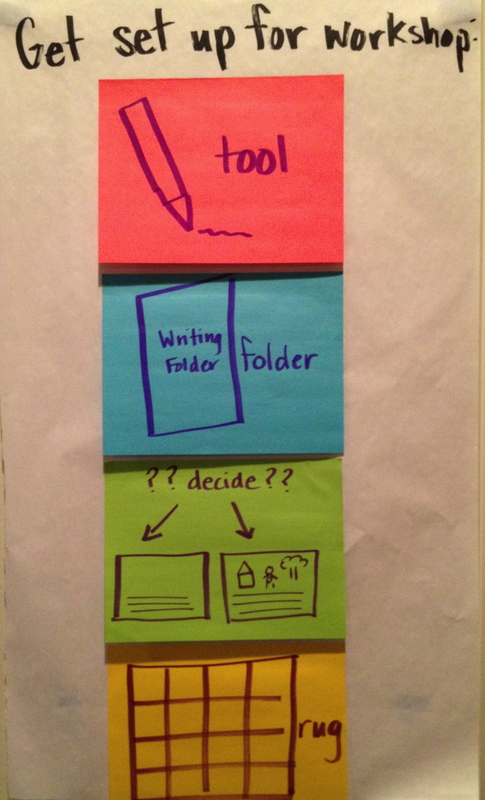 Students can benefit from visual timers between each component of workshop, i.e. 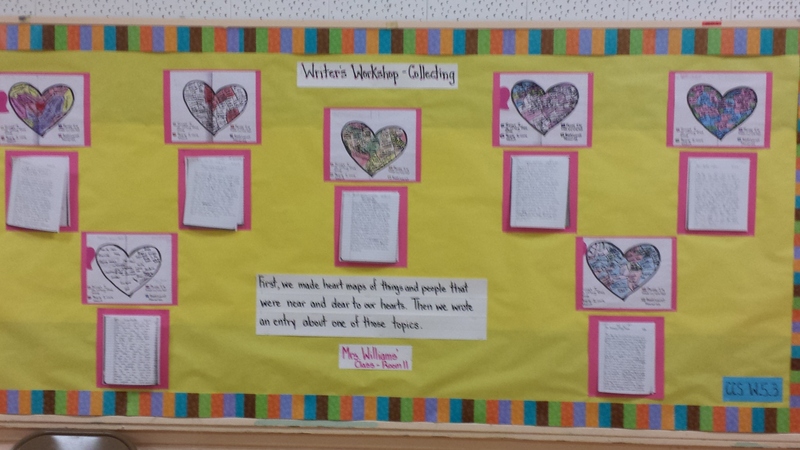 transitioning from the meeting area to independent writing. 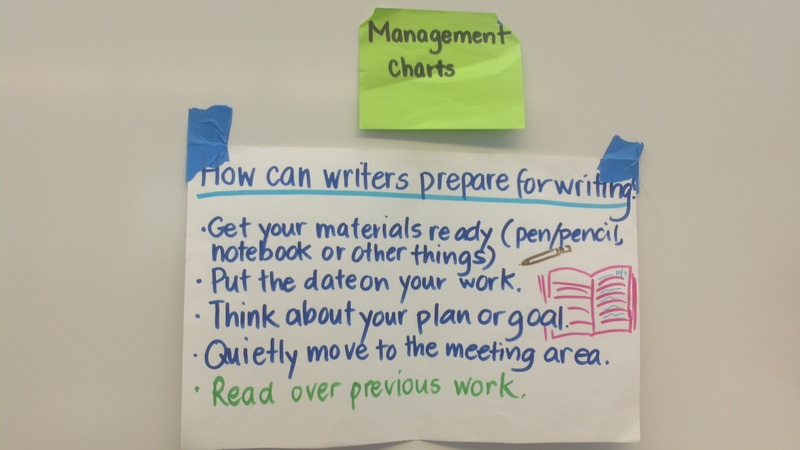 It is also helpful for students to know the amount of time expected for independent writing. 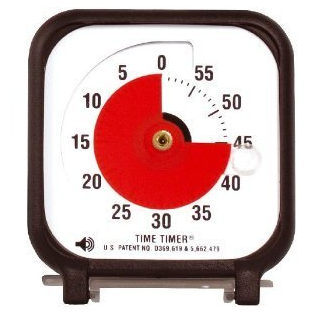 Many visual timers can often be placed on the board. If students do gather in a meeting area, students should be able to exit easily if needed. Also, a pacing line (colored tape on the floor) can be used for students who have difficulty focusing during the mini-lesson. The management of the pacing line needs to be clear for all students, i.e. 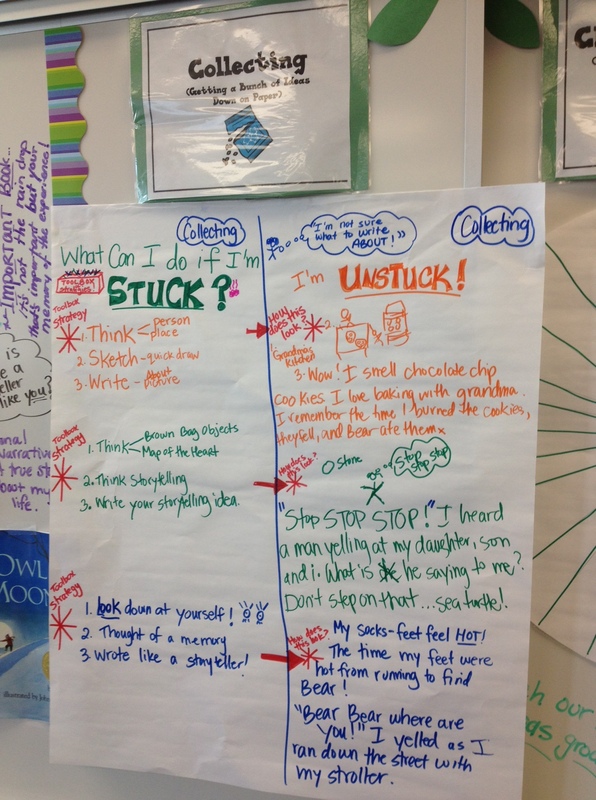 students cannot freely choose to use the pacing line during a lesson. Beanbags, bumpy seats and cushion supports have often been helpful for some students who need assistance focusing during a lesson and independent work time. As much as possible, the environmental arrangement of the classroom should stay as consistent as possible. 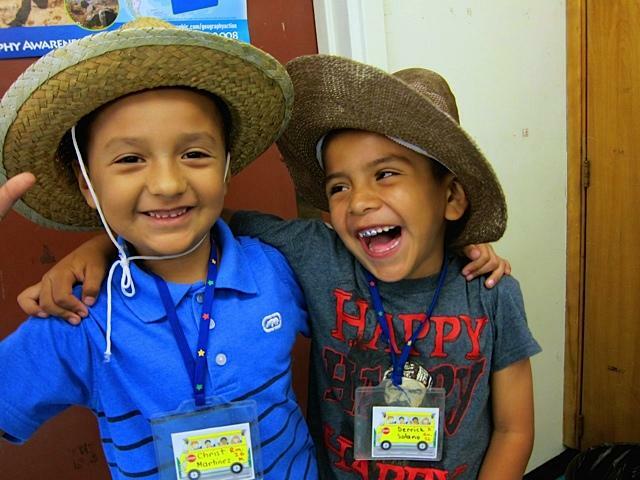 Students with disabilities benefit from a structured environment that stays the same all year. While minimal changes, such as a rotation of student work on bulletin boards is helpful, rearranging desks, tables and the location of the classroom library can bring unnecessary anxiety and frustration for some students. 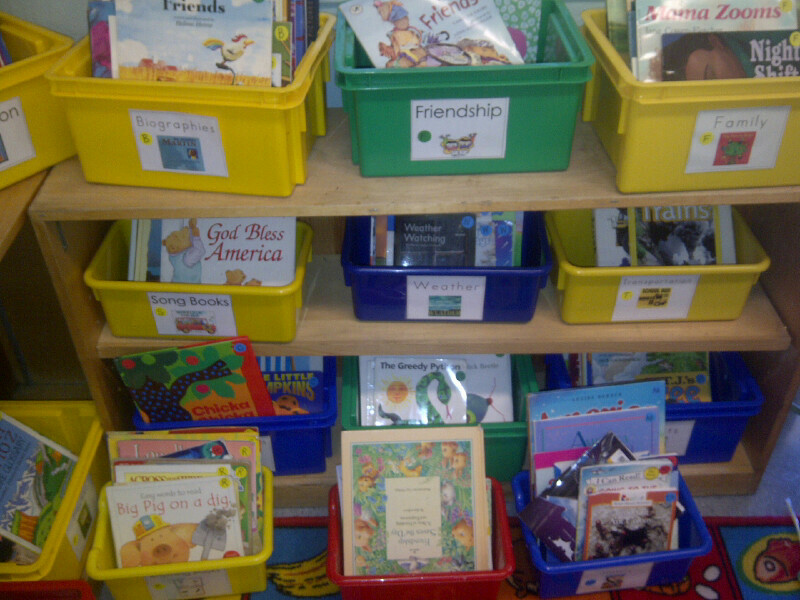 The classroom library should stay consistent for the entire year. Often, we reveal one aspect of the library at a time, relishing in the element of “surprise.” Students with disabilities often appreciate when everything is laid out to them at once. If you have extra levels of books that cannot be stored in your library, try to store them in a closet that is clearly labeled. It is beneficial if students do not have anything on top of their desks or tables, or even in their desks if at all possible to minimize distraction, and create a clutter free environment. The writing center should store all necessary supplies in clearly labeled bins. 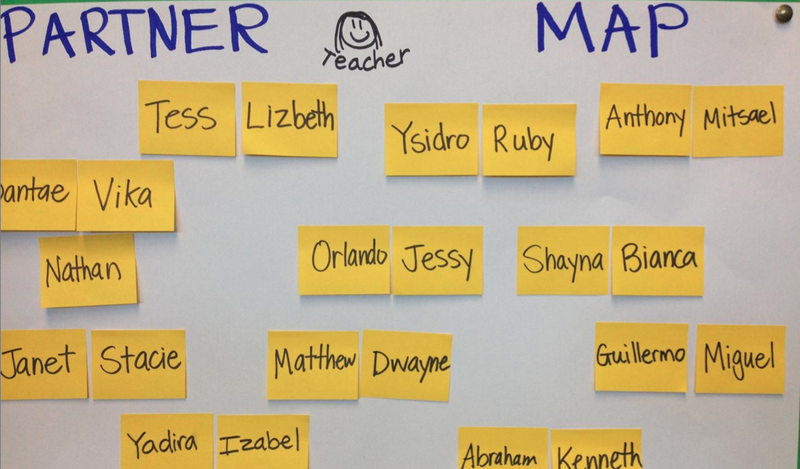 For primary teachers who use centers, it is beneficial if every center is color-coded. When called from the meeting area, students can line up on the appropriate line of colored tape on the floor next to the center, and then sit down at the center when directed by the teacher. Then students move from center to center transitioning using the colored taped lines. Cardboard from furniture stores can be cut and placed in between desks. 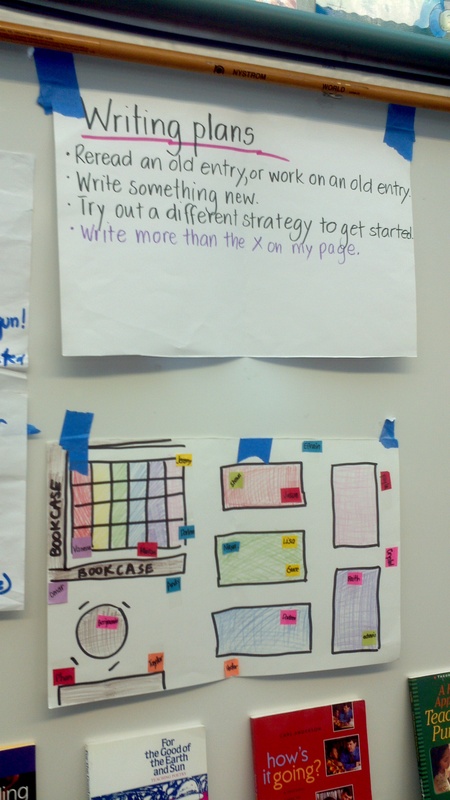 For example, a piece of large piece of cardboard can go between six desks (three on each side), and students can use that to place post-its on, so they have more space for their ideas. 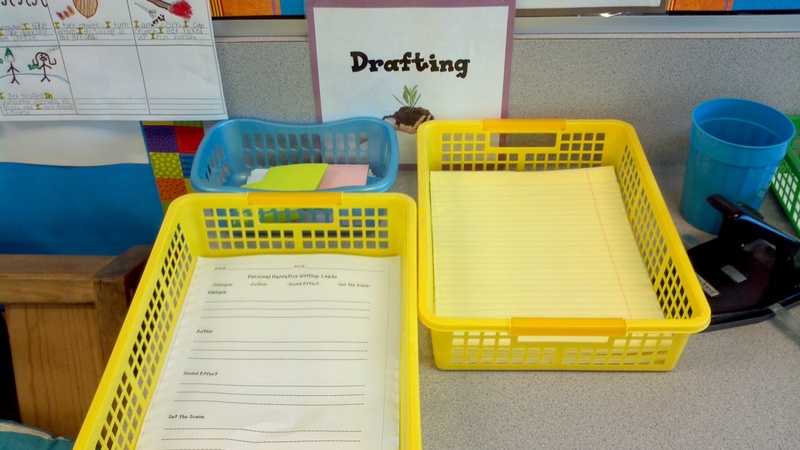 It can also serve as a divider to help students focus, and is an alternative to separate dividers around each student, which can be cumbersome. Students with disabilities benefit from small group instruction during writing and reading workshop. Small group instruction can take place during independent work time, where the teacher can provide additional modeling of the skill or strategy to help students with disabilities. 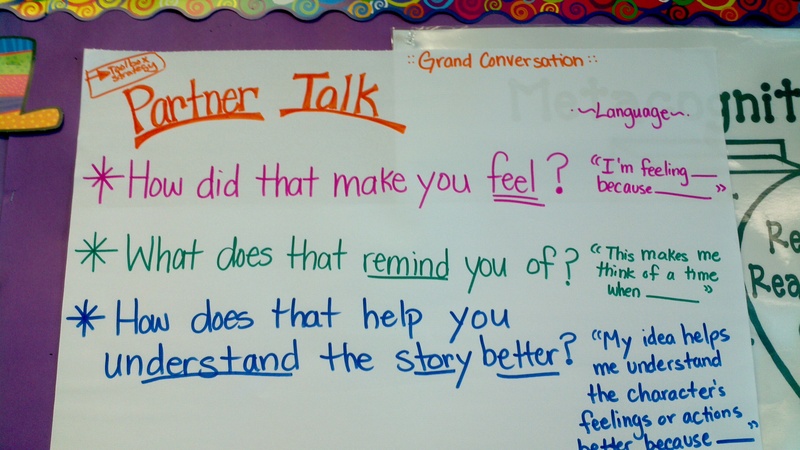 This can be an effective alternative to partnership discussions, because a teacher can facilitate discussion among group members. 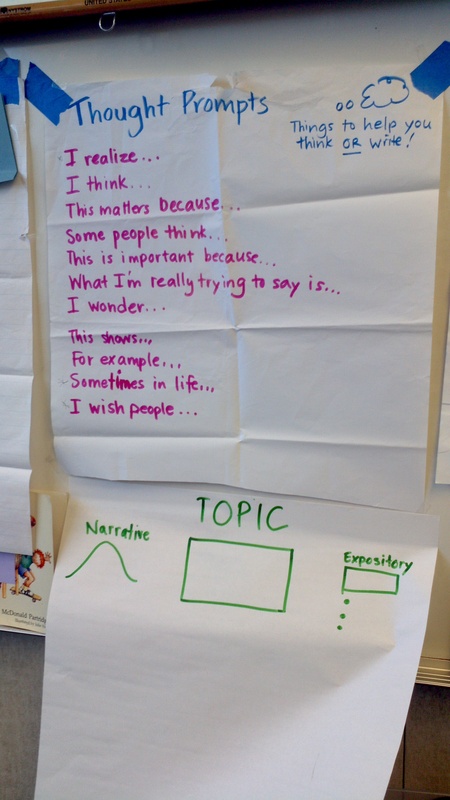 Graphic organizers are extremely beneficial during the writing process, and can also aid students in recording their thoughts about their reading. Students with disabilities benefit from multi-media during the mini-lesson, especially with difficult concepts such as theme. For example, showing students a video on Michael Jordan’s career in basketball can be helpful in explaining determination and perseverance to a student. 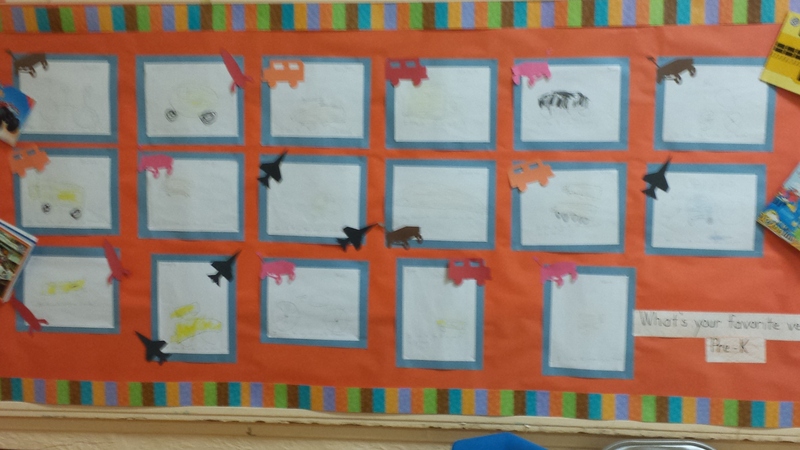 Whenever possible, it is helpful to embed pictures within the sentence starters and graphic organizers. Boardmaker has excellent pictures that can be used for this purpose. This book proves that ______________ and I know that people can learn from this because ___________________. My thinking changed because _____________________________. 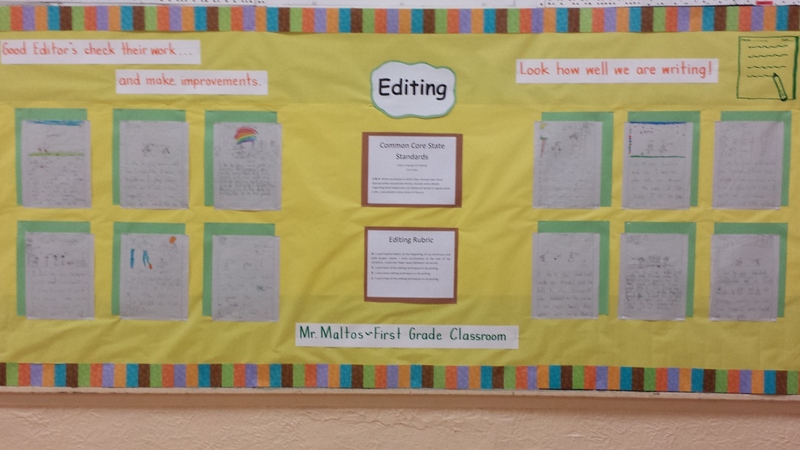 When teaching spelling concepts, utilize student writing to make it as authentic as possible. It is helpful to score students spelling ability in terms of application. 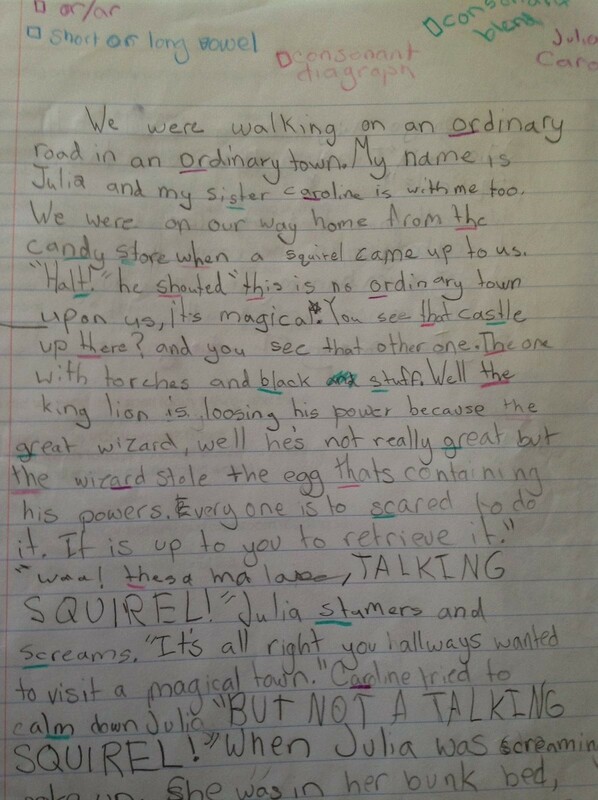 Below, I had a student “hunt” for her correct application of several spelling concepts within her writing. Notebooks, journals, and book baggies counted and distributed. Check. Writing pens (a variety of colors, of course) and stacks of post-its, ready for use. Check. 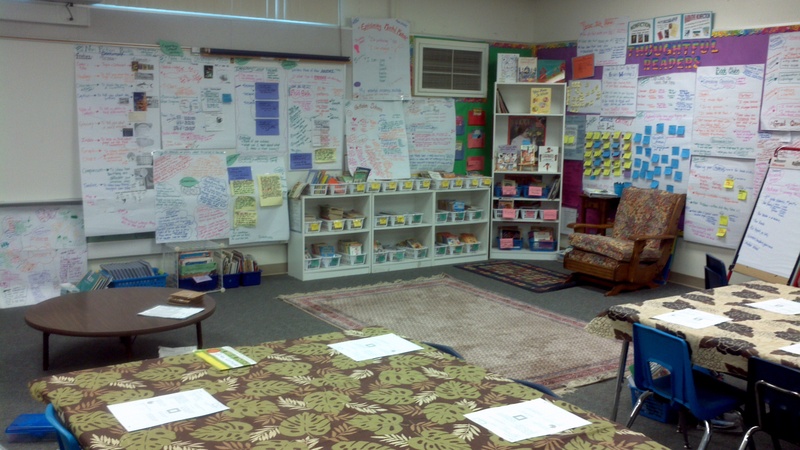 Meeting area and classroom library arranged just so. Check. As many of us return to our classrooms fresh off a long and adventurous summer, our minds turn to planning and preparation. Piles of post-its with long ‘To Do’ lists line our teacher’s desk, bags brimming with supplies litter our classroom floors, and books, books, and more books piled high on our student desks, ready to be leveled, ‘stickered’, and placed in our classroom libraries. 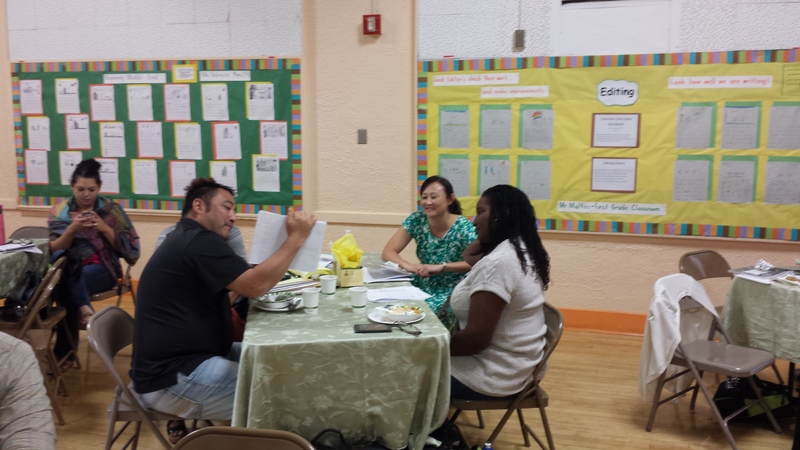 As you begin your journey of preparing for the new school year, how are you planning for your launch of an independent workshop? 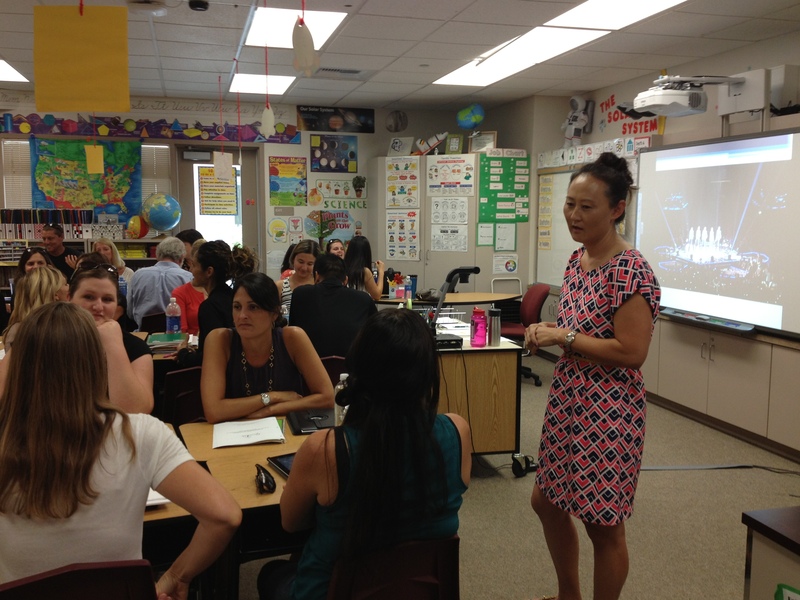 We recently had an amazing opportunity to spend a day with educators from the Tustin Unified School District doing just that–preparing and planning for their strategic workshop launch. Routines and Habits: Consider building in routines, habits, and expectations for how workshop flows in your classroom early on. As your readers and writers learn what’s expected of them, you will be able to maximize your workshop time. 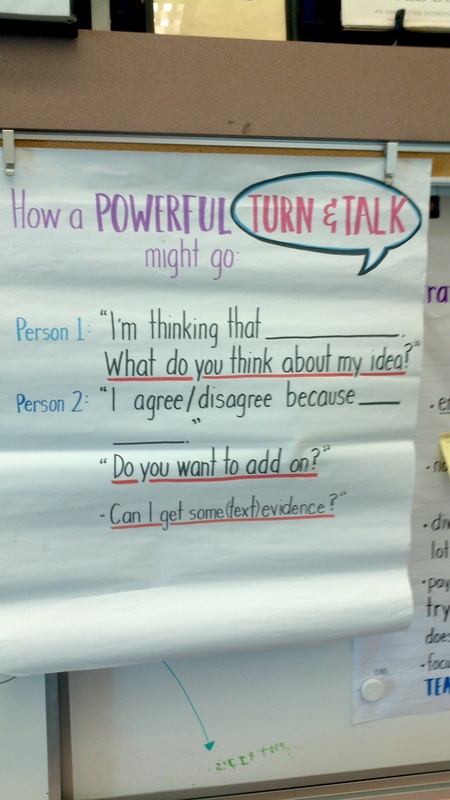 Anchor Charts: Charts build independence for your students. 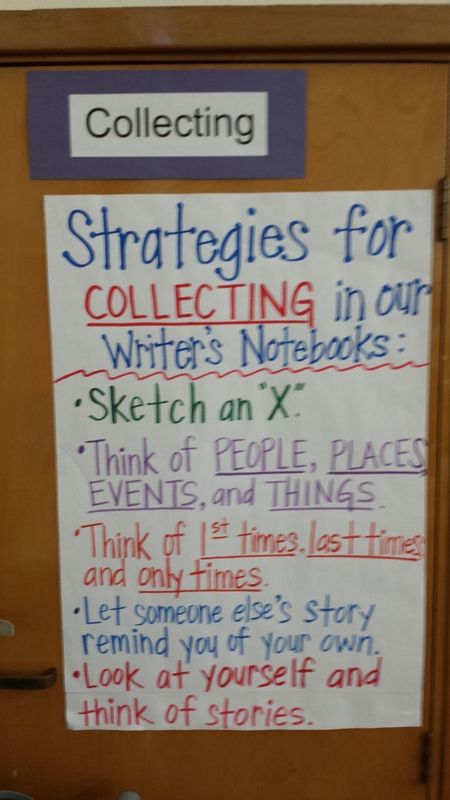 Your readers and writers will learn to refer to them for strategies and reminders. 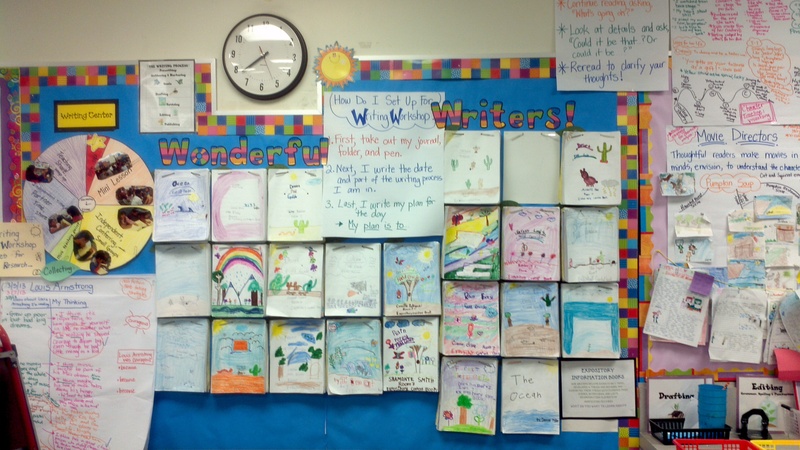 Consider a spot in your room where you can hang these charts so readers and writers can easily access them. 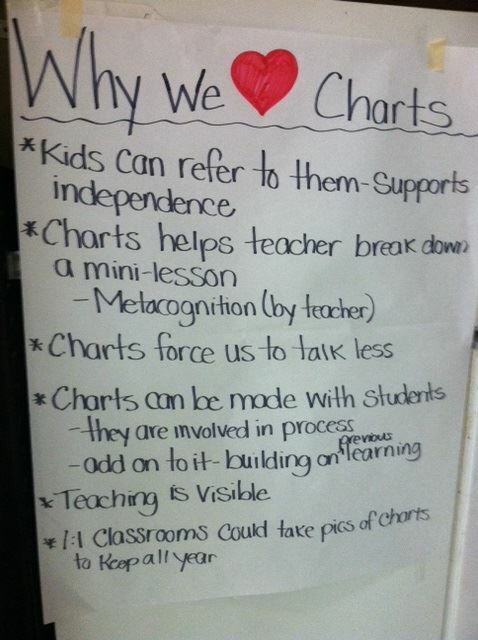 Andrews Elementary teachers, in Whittier City School District, created a chart reflecting upon why they love charts! 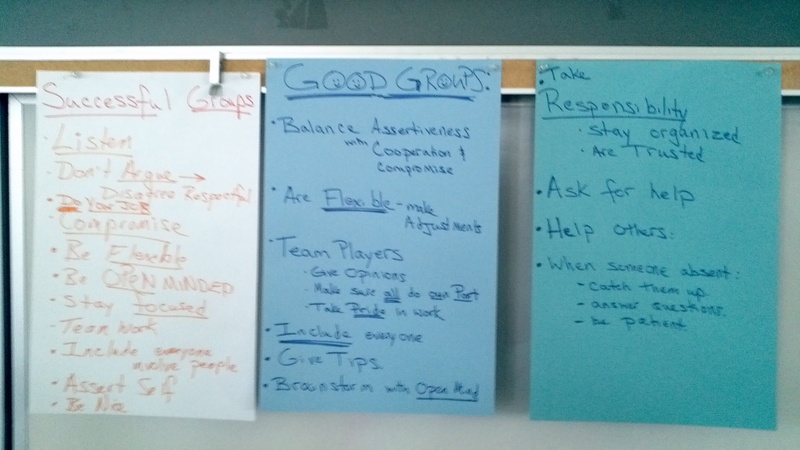 Partnerships: Consider how you want your partnerships to function in workshop. 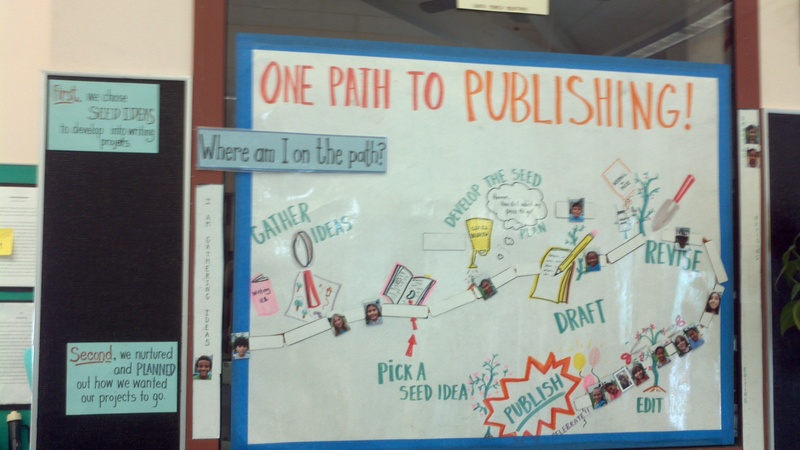 Preparing for the purpose and expectations for workshop partnerships and making those explicit to your readers and writers will help build independence. 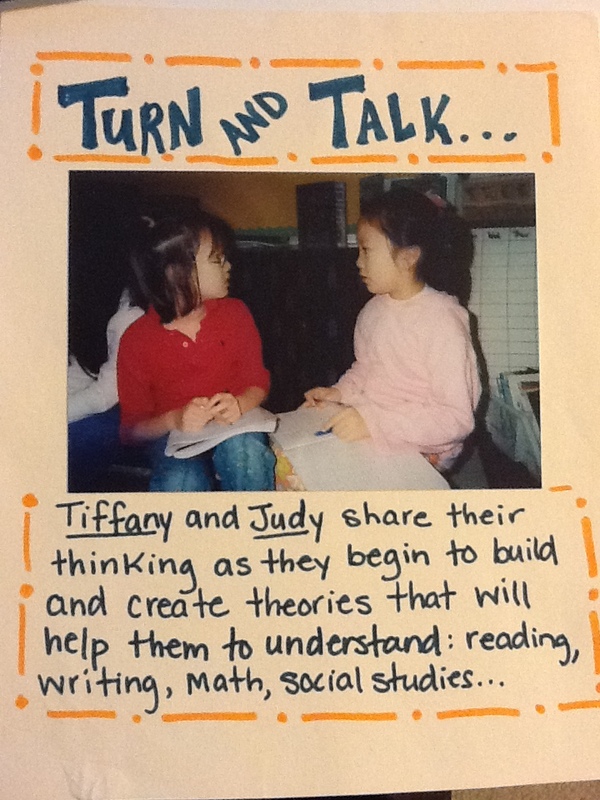 You might choose to have partners assign themselves A and B (or yellow and orange) status as an efficient way to organize their turn and talk time. 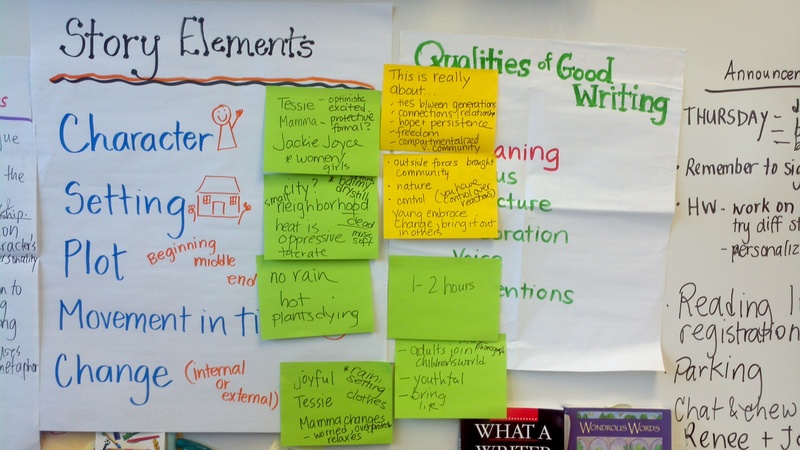 Mentor Texts and Materials. 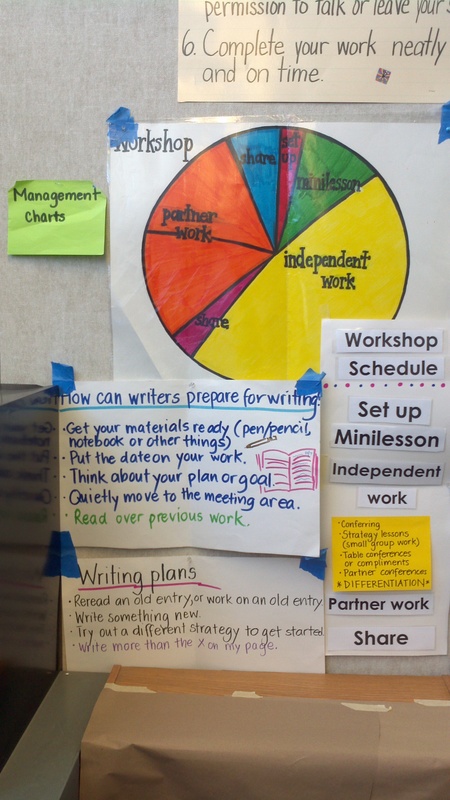 Consider how your workshop texts and materials will be organized for independence. 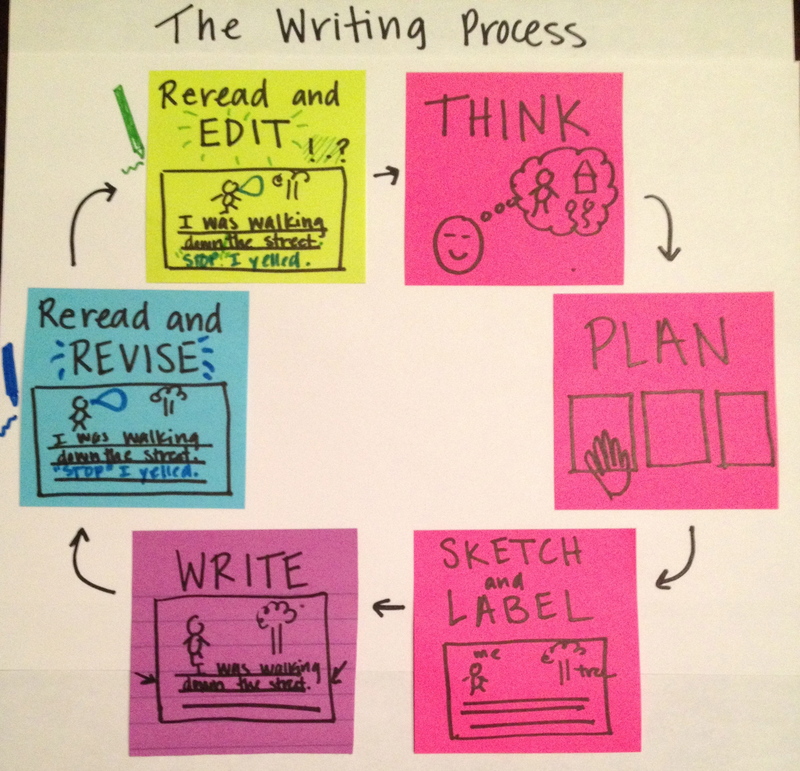 Your readers and writers will learn where to access books and materials, including: post-its, pens, draft paper, publishing paper, and markers. Meeting Areas. 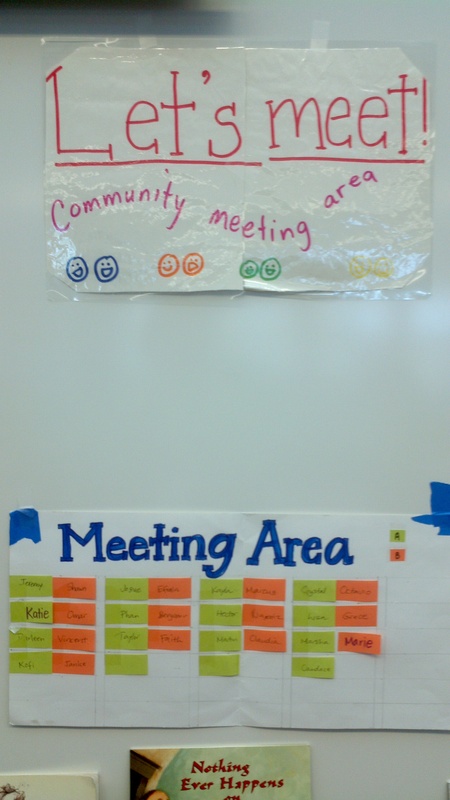 Think about how your meeting area will flow and make sense for all your learners. 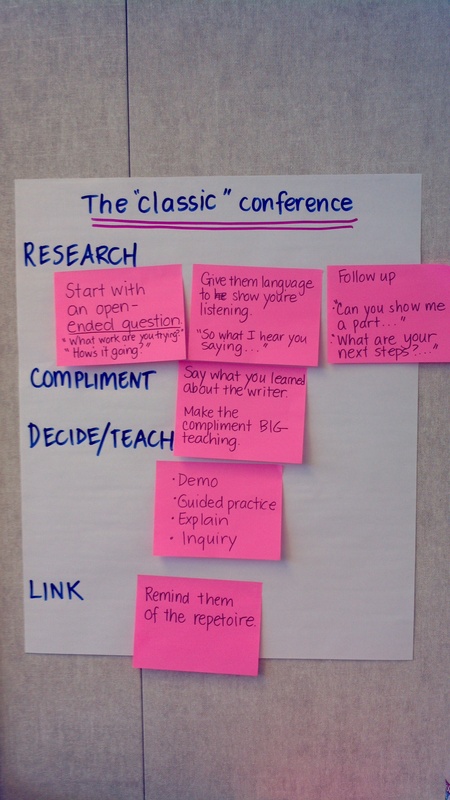 Consider accommodations you can make to meet the needs for all learning types in your room during workshop. 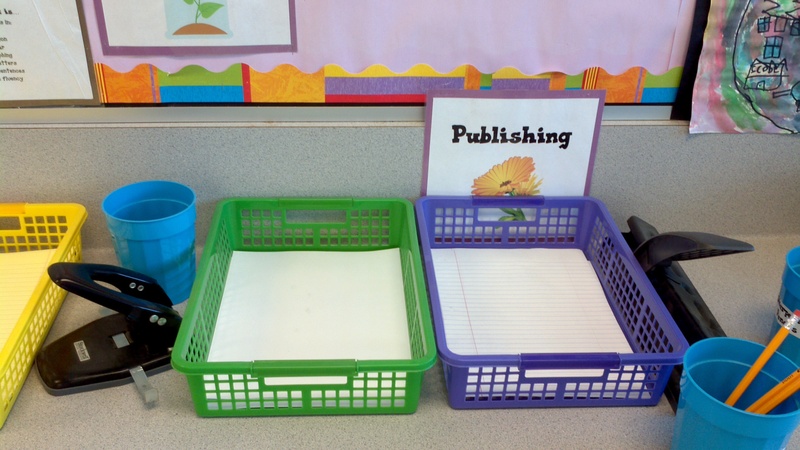 Now, with just right books, journals and notebooks, writing pens, mentor texts, and meeting areas prepared and ready for building independence, enjoy your workshop launch this Fall!